Envelopes are the first impression for family, friends and guests to your celebration. Wedding and event envelope pricing begins at $3.50 per envelope and does not include return addressing. Please note that there is a two week minimum required for all jobs as well as 20% overages. 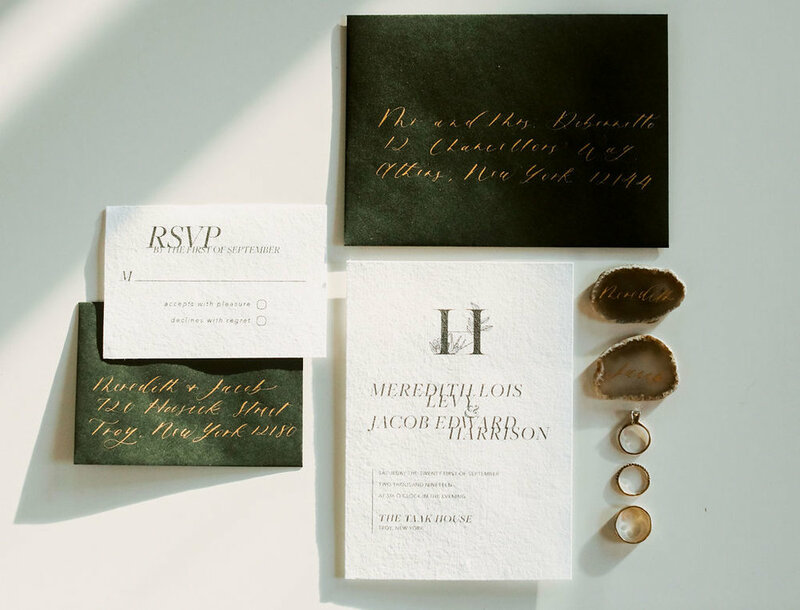 For more information about other handwritten pieces including place cards, menus, bar menus, and seating charts follow the link below! Wood, chalkboard, glass, acrylic, or mirror signs are available for purchase or as a rental. Pricing is based on material, size & length of verbiage. I love new and unique so if you have an idea for something we would love to help you construct and make it a reality! Event, business or creative services are $40 per hour not including supplies. On site day-of calligraphy is $60 per hour plus travel. Invitation, program, and menu design are available in digital format, printed, or as a full service product printed, assembled and delivered to you ready to be shipped. Custom designs begin at $350.